As part of LHA’s Sustainable Communities Program, Peace Houses are built for poor families whose current living conditions are inadequate. They provide lasting change and stability for the family. The monasteries commitment to a social contract with the family ensures that change is linked to education and morally responsible behaviour to some of Cambodia poorest. Together we can bring ‘Life and Hope’ to those who need it most. Peace-houses go beyond a donation. 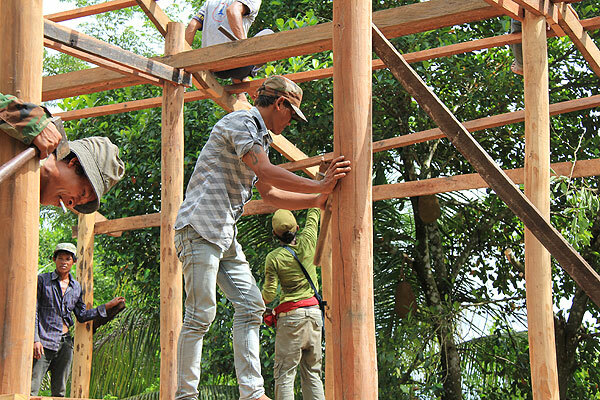 Most are funded & donated by community fund-raising efforts from all over the world, although some groups can chose to travel to Siem Reap and see the house being built or even assist. 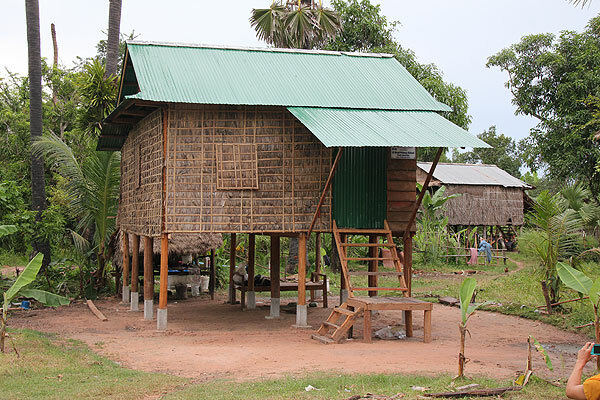 Donors are welcome and encouraged to come to Cambodia to get involved in the process of building the house they donate. 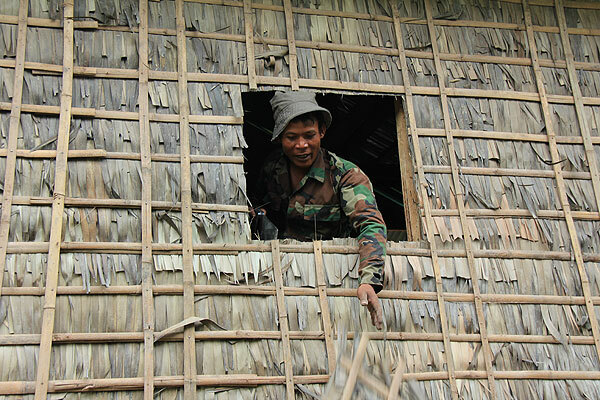 Peace-houses can be built all year round, but volunteers should be prepared that the task is slightly harder in the rainy season around August and September. 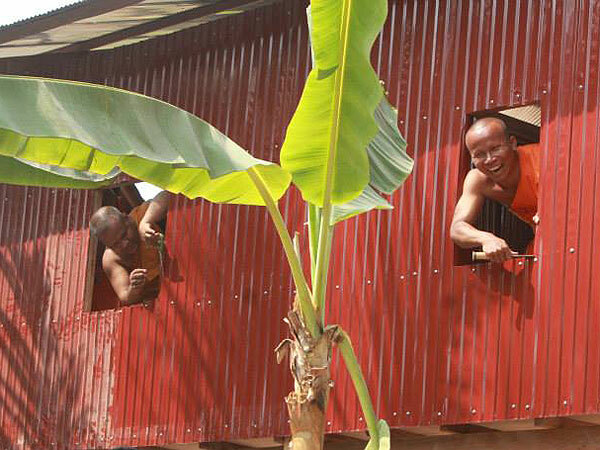 Peace-houses are only granted by the monks to families who meet their criteria. The neediest families are selected and they must also agree to a contract of use, which includes educating their children, no domestic violence, alcohol or drug abuse. The contract is taken very seriously, and is monitored by the village chief and the monks. The selection process takes about 2 months. Selection begins once funds have been made available to build. Volunteers should envisage a 2 months advance notice period to LHA. Shorter notice times maybe possible if a family has already been selected. What is the design of the house? Houses are traditional Khmer wooden frame houses, approximately 4.5m x 5.3m. The roof and walls are either thatched or metal. Do I/we have to come to Cambodia to see the house being built or help? No, in fact many people and groups from across the world fund raise so that the peace houses can continue to be built. You are however welcome to come and be a part of the house build if you are able. The building process is quite systematic as many houses are built each year. Your contribution will be organised by LHA and handled professionally by local builders. How long does it take to build a Peace-house? 1 day for buying material (although this can be done by the monks) and meeting the staff and monks at LHA. More than 2 Peace-houses, =>10 volunteers per Peace-house, but note those additional days may also be required to help to organise local help on site. A peace house costs $1,750 to build. Food and water is needed for people or villagers around whom participated in building activities for 3 days. $200 dollars per Peace-house covers all local help and food. Transport can be arranged via your own tour operator, or LHA is happy to organise this for you. Transport is approximately $50 per day per Peace-house group of volunteers (3 days). 1. Online: Secure online donations can also be made via Give 2 Asia Foundation. Visit our sponsored page at www.give2asia.com/lha. 2. Via Omprakash Foundation (no administrative fees) (www.omprakash.org), click here go directly donation page. 3. Bank Transfer or tax deductible donation: Full remittance instruction can be found here, depending on your country of origin. For queries and planning arrangements, please email Venerable Loeurm >>.